The ad provides some features of the seed: seeds, for one thing, and a good price, but features aren’t necessarily the things that get you buy a product. But customers want benefits. 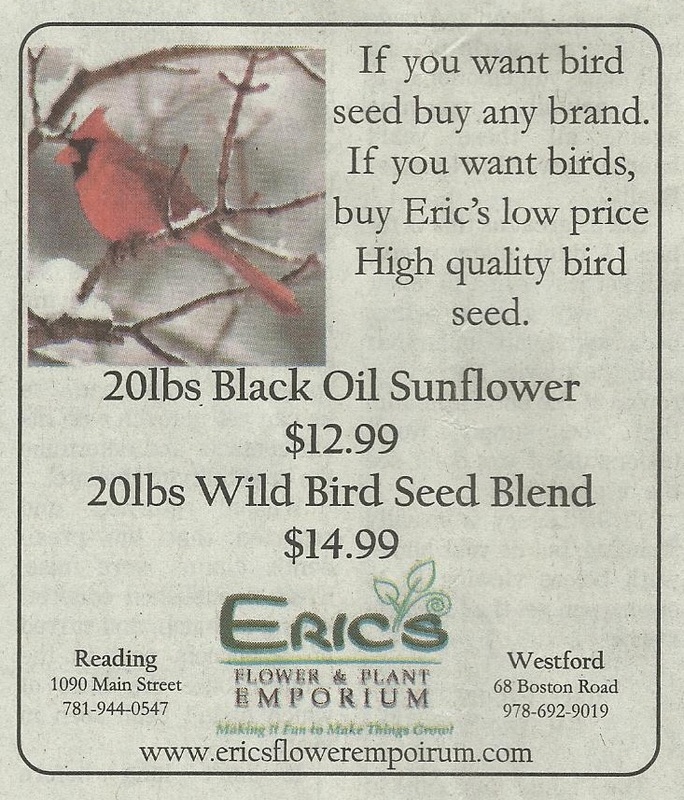 And Eric’s nailed the benefit: If you buy Eric’s seeds, you get birds. 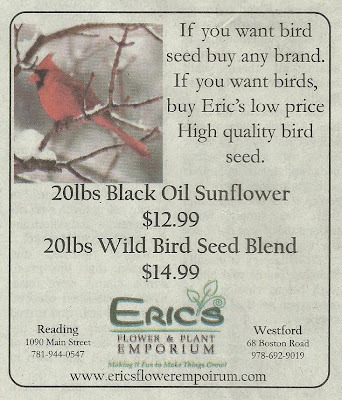 I plan to visit Eric’s this spring (Reading and Westford, Massachusetts) because the website pictures remind me of my mother’s garden center in Texas. As a kid, I had to weed the cacti. In my opinion, those little spikes on the cacti are neither a feature nor a benefit.